A report surfaced last week stating that Tennessee was one of four SEC schools that had reached out to Missouri asking about their seniors potentially wanting to transfer amid all the incoming NCAA sanctions against the Tigers. Now, Tennessee has been singled out by Missouri’s head coach, and he’s not happy about the Vols continuously asking about his senior players. 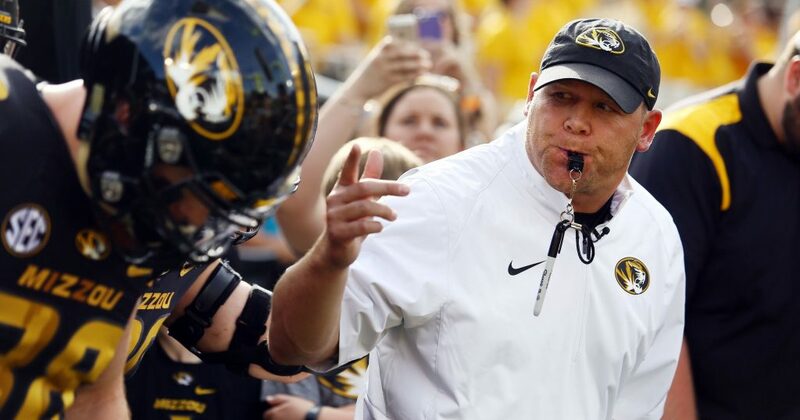 Barry Odom met with the media on Tuesday and discussed the ongoing situation at Missouri. The university’s football, softball, and baseball teams are facing postseason bans and scholarship limitations after investigations discovered a tutor provided impermissible benefits to a number of athletes in those sports. Missouri is currently appealing the decision, but because of NCAA bylaws that allow rising seniors to transfer off a team without penalty if that school is facing sanctions, the Tigers’ seniors are being recruited like they’re in high school again. Barry Odom is getting frustrated with that. And he’s specifically getting annoyed by Tennessee. Missouri has beaten Tennessee by a score of 50-17 in back-to-back years now, and the Tigers are coming off an 8-5 season, their best under Odom and their best season since they won the SEC East and went 11-3 overall in 2014. The Vols, meanwhile, have won a combined nine games over the last two seasons and are 2-14 in SEC play during that span. Tennessee has already welcomed in transfers from two other Power Five programs this offseason. Defensive lineman Aubrey Solomon of Michigan and athlete Deangelo Gibbs of Georgia left their schools to come play for UT this offseason. Now, Tennessee’s coaches are trying their hardest to land a transfer or two from Missouri. Odom says he’s tried to contact some of the coaches that have been calling his players, but so far nobody has returned his calls. All of this is happening ahead of Wednesday’s annual SEC coaches’ meeting in Birmingham, Alabama. So Wednesday could be an awkward day for many coaches there. Missouri isn’t the first school to be put in a situation like this. If you recall, Penn State’s seniors and juniors both were allowed to transfer off their roster after the NCAA penalized the Nittany Lions for the Jerry Sandusky scandal. Seniors at Ole Miss were also allowed to transfer after they were sanctioned by the NCAA amid the investigations stemming from former head coach Hugh Freeze and his staff’s actions. In those instances, coaches treated the potential transferring players like high school seniors again, recruiting them to come to their schools. Those players received scholarship offers and were contacted by opposing head coaches frequently. Now, that’s happening at Missouri. “They’re all getting bombarded,” Odom said of his seniors. “It’s frustrating … that our governing body has allowed that. You can’t cut a player. You can’t remove a player for not being a good player or injury, but yet, they let people go recruit our guys. So far, none of Missouri’s seniors have stated their intentions to transfer out of Missouri. Odom said a week ago that he didn’t anticipate any of his rising seniors to leave, in fact. But that’s not stopping schools like Tennessee from trying their hardest to poach some experienced talent off the Tigers’ roster. And it’s apparently getting under Odom’s skin.